NEW YORK, NY--(Marketwired - Dec 9, 2015) - Adorama, one of the world's largest photography, video, audio, imaging and electronics retailers, is teaming up with Panasonic and Instagram celebrities to show photographers why 30 frames are better than one -- all thanks to new 4K camera technology from Panasonic. 4K Photo records 30 frames per second, allowing picture-takers to select the best image after a moment in time is captured. Whether one is a professional photographer or simply assigned to snap photos at the annual holiday gathering, with 30 images recorded rather than just one, it's nearly impossible to miss getting the perfect shot. 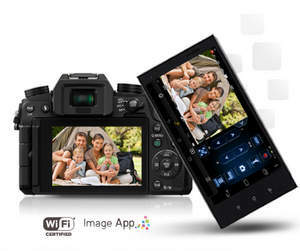 Plus, with the Panasonic Image App, photographers can wirelessly connect their Lumix camera to a smartphone, apply filters, and share instantly via social media. "Adorama is a dynamic partner that is on the leading edge of providing its customers with new technology," states Kristin Long, national sales manager at Panasonic US. "I am thrilled to be working with Adorama to help promote our exclusive 4K Photo technology. The holidays are a perfect time to put 4K Photo to use. With so much action happening around the holidays, trying to get everyone together for that picture-perfect moment can be hard, but technology makes this easy!" To show off new 4K Photo, ten of Instagram's most influential photographers put Panasonic Lumix 4K mirrorless cameras to the test, and will be posting images to their accounts over the next two weeks using the hashtag #EasyAs1234K. Be sure to follow the hashtag as well as @PanasonicUSA and @Adorama on Instagram to see what these cameras are capable of and to learn more about 4K camera technology. "I'm just now getting into video, and it's the medium that's exciting me the most for the coming year," says Beth Kirby, @local_milk, of Panasonic's new 4K Photo digital cameras. "As someone who travels extensively and strives to travel very light, to find a camera this light and compact with interchangeable lenses and the ability to film such high quality video is a windfall. A micro 4/3 camera with Wi-Fi capabilities is the perfect camera for a photographer/videographer on the road that's looking to upload photos and videos to Instagram in the moment, while they still feel fresh and relevant. Using the app, I can instantly have my photo on my phone, perform a quick edit, and share it within moments of it happening. It's going to be my go-to Instagram camera from here on out." "I found the new capabilities of the Panasonic 4K 30 frames per second to be challenging in a good way. I think I was getting too comfortable with shooting still photography, and with the 30 frames per second it made no sense to shoot a plate of salad," My Nguyen of @myhealthydish_ states. "It forced me to get out of my comfort zone of shooting still shots. It challenged me to be more creative and bring actual life to food. It was very interesting to almost think of my next photo as a moving picture and what action shot I wanted to capture in that 30 second frame." "Capturing that perfect moment in time is truly an art form, but when it happens, it's magic. New 4K Photo from Panasonic brings photographers of all skill levels one step closer to near perfection," comments Lev Peker, chief marketing officer at Adorama. "We're thrilled to be working with some of Instagram's most follow-worthy photographers, and are excited to see the images they were able to create using this new technology. We hope it inspires others to get out there and start shooting, knowing that, with the right equipment, they can bring their visions to life. And what better time to do this than right around the holidays, when everyone is gathered together and picture-taking is at its peak?" 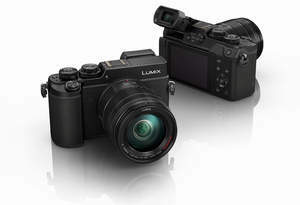 For more information on Panasonic 4K Photo and to shop new Panasonic mirrorless cameras and Panasonic digital point and shoot cameras at Adorama, visit Adorama.com.